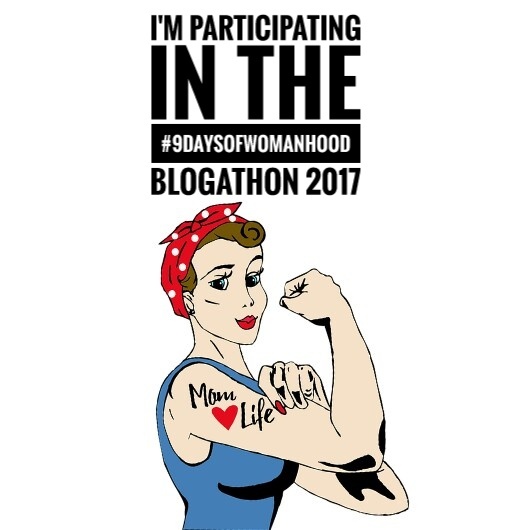 where to buy NewBlue Titler Pro It brings me immense pleasure to share that I, along with 24 other bloggers are celebrating #9daysofwomanhood throughout Navratri. I thank Akshaya Nandakumar for introducing me. I am sure you would have loved her blog on the prompt for today ‘Being a woman in India, in 2017’. Gone are the days when a woman was considered good for household chores. We are left with only a few now who think that giving girls a proper education is a mere wastage of time and money. Gone are the days when women looked great only in the kitchen. They are there in every field, shining. I sometimes feel how difficult it would have been for my mom (who holds a degree of Master in Arts) to fight for her education from this male dominating society. The stories she had to share about how she managed her life as a girl (that too in a small village) still gives me goosebumps. How at that time girls were not allowed to move out. Even though the constitution gave equal rights, they were not treated equal with boys, not even while serving food. Women were expected to eat only after the men, that too leftover. How the female fetus used to be killed in the womb itself, without even thinking about how a mother would feel. The girls were married off at an early age as were considered liabilities. How they had no say in the decisions, which were supposed to be taken by them. It was not just for her own education, my mom’s fight was equal for all the girls there. She taught a lot many girls with a motive of imparting her knowledge. And her fight continued for me too. When 12 years back, I wanted to move out from a small place for my education, she was by my side. People had their share of words, like how can you send a girl far away from you. Those words did leave an impact on my father but never on my mom. She always has wished me to be an independent one. She was the one to break the stereotypes. It was her determination that helped her and me as well to stand tall and hold her head high, just like a sunflower, filled with positivity and spreading the seeds of happiness. It must have been this determination in her and lot many like her which have changed this world for us. Even though we have a lot to crib about, we can’t deny that the situation has improved since the earlier times. We are still standing in a far better place today. With far better education facilities, we have numerous job opportunities for ourselves. We are not just a matter of kitchen anymore. I live in a world where Teaching, a profession that is the mother of all other professions, is ruled by us. We are emotionally strong enough to take care of the little ones. We are providing shelters and help to many by running NGOs. Mompreneurs is the new rising term as we become the owners of the organizations that are not only helping us to make ourselves independent but also giving employment to a lot many to run their households. This universe is expanding with successful women leaders in India. They are star executives in the banking sector, consulting firms, multinationals, where women are starting to make a mark, doctors, saving and giving new life to many, soldiers, serving our nation, entrepreneurs, daughters of leading business houses, who have even upstaged their brothers. And how can we forget about the sector which keeps us alive, farming? Women are also observing driving as a mode of income for themselves keeping us and our children safe. There is no such sector that remains unconquered by Indian women. Be it sports, politics, entertainment, education, technology, health, writing, everywhere, its women power women making its presence felt. With women being pushed into the domestic household space, to their rising as super-women today, women in India have seen it all. We have started to recognize our own potentials, not following the unethical rules laid down by our so-called society. This determination has helped in breaking the barriers and earning or rather making a respectable position for ourselves. And it will be this determination that is going to take us all much closer to what is called success.